Spot our trucks around town? Take a pic and tag @HillCountryDairies to say hello. Hill Country Dairies is a Texas based, Family owned and operated, Full Service Dairy specialist. We provide fresh milk, heavy cream, buttermilk, cheese, butter, culture and other dairy related products across the Lone Star State. With origins dating back to the 1970’s, Hill Country Dairies operates branches in Austin, Corpus Christi, Dallas, Houston, San Antonio and Victoria. Hill Country’s foundation is its employees. Each of our branches is managed by industry experts with over 25 years of Dairy experience. We specialize in servicing restaurants, hotels, healthcare, schools, small format retail stores, and other foodservice facilities. Our mission is to sell quality products and provide a level of service second to none. 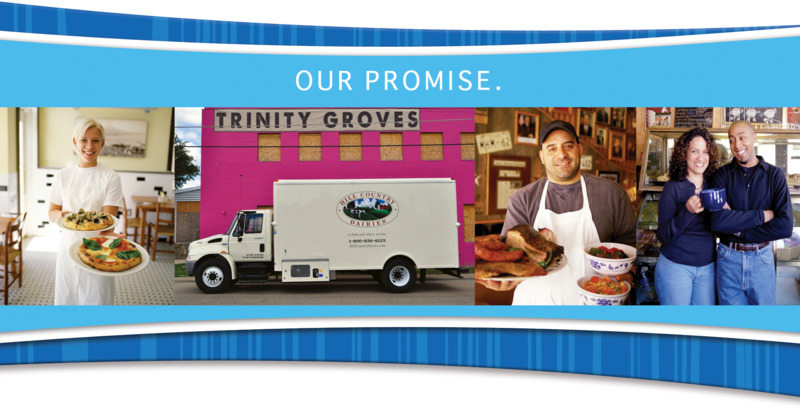 Offering customized delivery schedules, competitive pricing, and a guarantee to satisfy our customer’s needs, Hill Country is dedicated to Serving the Best in Texas.™! 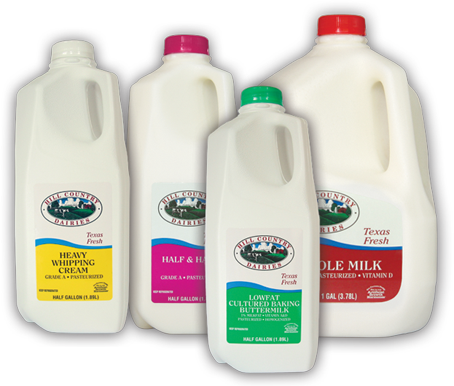 "Hill Country Dairies fulfills every dairy need we have. As our dairy supplier of choice, they are invaluable to the success of our business." 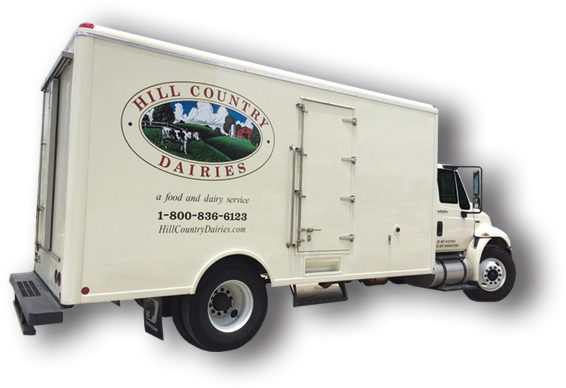 With Hill Country Dairies service is more than just delivery schedules. We strive to work with each of our customers to understand their needs and what we can do to help improve their business. From providing high quality products to keeping equipment in top shape, it's just the beginning of what we do to help our customers. Our answers to common problems help our customers stay on top of their business. From delivery challenges in remote areas to hotshot services, we have a solution to your business needs. Our dedication to providing quality products in a timely manner to our customers is the cornerstone in our effort to build lasting relationships with our customers.